The psychology department uses the methods and content of psychological science to teach students to understand the reasons behind their own and others' behavior, become competent and critical decision makers, respect human diversity, and fulfill their social responsibilities. Psychology is a broad field. It is broad in content, approach, and application. Our distinguished and dedicated faculty prides itself on being available to students. Psychology is science. Majors should learn the philosophy and principles of science and be well versed in theory, methods, and statistics (i.e., the foundations of scientific inquiry). Psychology is practice. Majors should gain experience in applying psychological principles and methods to understanding and solving real-world problems. Psychology is diverse. Majors should be exposed to a variety of fields and perspectives within the discipline to gain a broad-based knowledge and appreciation of how psychologists seek to understand the world. Psychology is honorable. Majors should learn the values deemed important in psychology and should strive to comply with accepted ethical principles in research and practice. Psychology is challenging. Majors should expect a curriculum that requires them to question their preconceptions, to practice skeptical inquiry, to engage in analytic and synthetic thinking, to show tolerance for views that they may not share, and to struggle with work that is difficult but often rewarding. 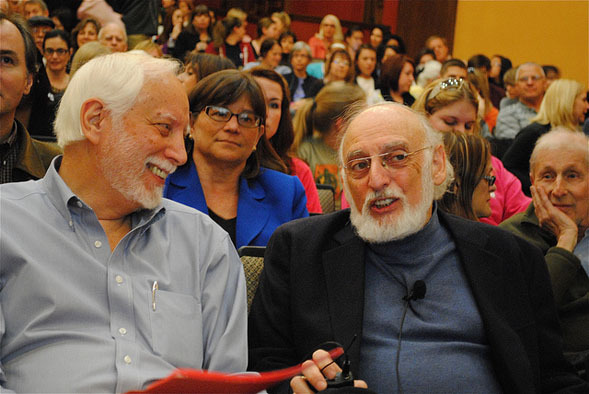 Psychology is collaborative. Majors will work with the faculty and their peers inside and outside the classroom in order to draw on the expertise of others, share individual areas of expertise with others, and create a supportive learning community. Psychology is empowering. Although the faculty and curriculum offer guidance to students in their courses and endeavors, ultimately majors are responsible for shaping their own educational experience. Those who want to sample the discipline. Those who think psychology might enrich their main academic/professional interest: business administration, education, religion and philosophy, sociology, anthropology, creative writing, health sciences, or law. Those who need psychology for "helping professions" such as human resources, secondary teaching, vocational and educational guidance, special education, early childhood education, or day-care work. Those who intend to pursue a career in professional psychology: college or university teaching, research, or clinical or industrial psychology. Two courses (PSY 150 & PSY 155) introduce majors to psychology by exploring 6 areas within the discipline (3 modules per course). Each module draws connections between historical and current perspectives, uses research projects to illustrate disciplinary methods, and encourages synthesis of ideas across topics. Perspectives courses do not need to be taken in sequence. Two courses (PSY 250 & PSY 255), taken in sequence, provide students with a background in the variety of research methods and statistics, the foundations of the science of psychology. These can be taken concurrently with the foundations courses. Students must complete this sequence before taking other laboratory courses in the major and are therefore encouraged to complete the scientific core as soon as possible. Psychology is a broad discipline encompassing a diverse variety of fields spanning the social and natural sciences. The 300-level elective courses represent a general education within the discipline of psychology. Majors are required to take 7 of these courses, at least 1 from each domain, and a minimum of 3 courses that have a laboratory component (emphasizing experiential learning), providing a requirement for breadth and an opportunity for depth in a particular domain. The four domains (behavioral & biological, cognitive neuroscience, developmental, and individual-social) are in compliance with the American Psychological Association’s (2007) APA Guidelines for the Undergraduate Psychology Major. 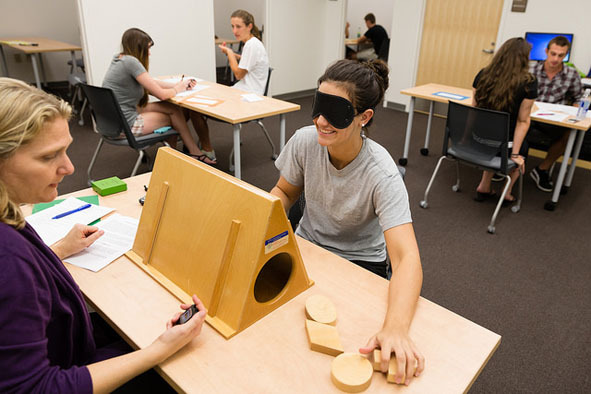 The culmination of training in the major, the 400-level capstone emphasizes integration of concepts from other courses, independent work, and intensive exploration of a topic within the discipline of psychology. Students can enroll in a Senior Seminar or conduct Honors Research for Honors in the Major. Capstone courses will be capped at 12 students. 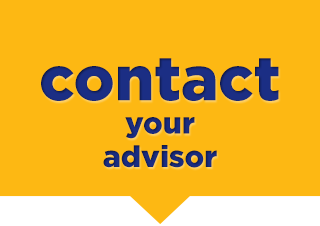 Students need to consult a departmental advisor as early as possible to plan course selections. Because of the structure of the major, transfer students should expect to spend at least four semesters in the Rollins program to complete major requirements.